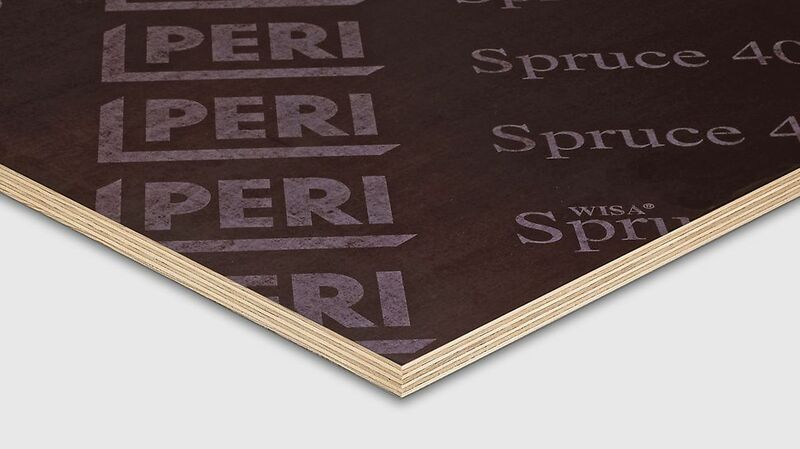 At a low weight, the PERI Spruce 400 offers high technical values for the user. Due to the thick filmfaced coating of 400 g/m² on both sides, the concrete finish is almost smooth. It is mainly used for slab areas with raised requirements. 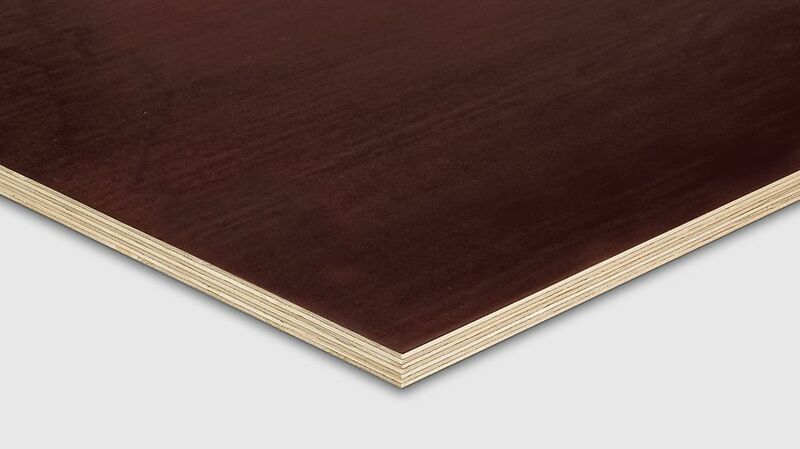 This plywood with a 7-ply veneer construction is made of Nordic coniferous wood veneers and a BFU 100 bonding according to DIN 68705.